‘Y. 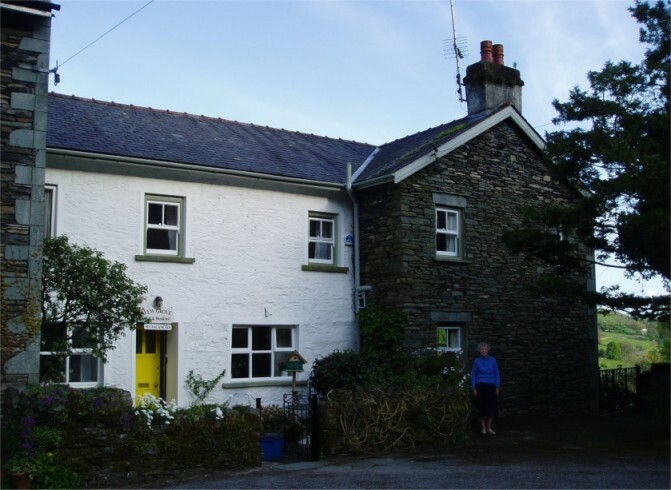 Gr.’ is the name of a house located in the village of Troutbeck in the English Lake District. The oldest part of the building dates from 1700, and another wing was added in 1900. During its history, Y. Gr. has served as a family home, the office of a bank, the village post office, and a hotel. 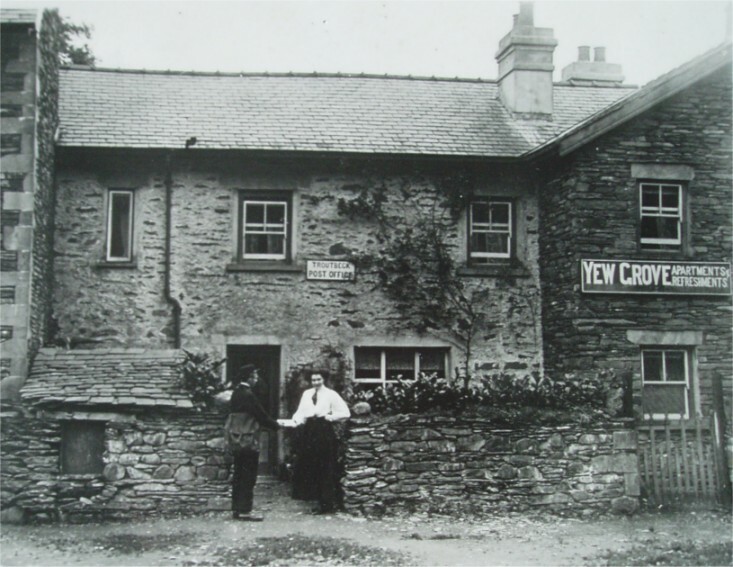 In 1985 it was bought by Angela and Derek P., who ran it as a bed and breakfast until 2013. Photo of Y. Gr. probably taken in the 1920s when it served as the post office and offered ‘apartments & refreshments’. At one time Y. Gr. 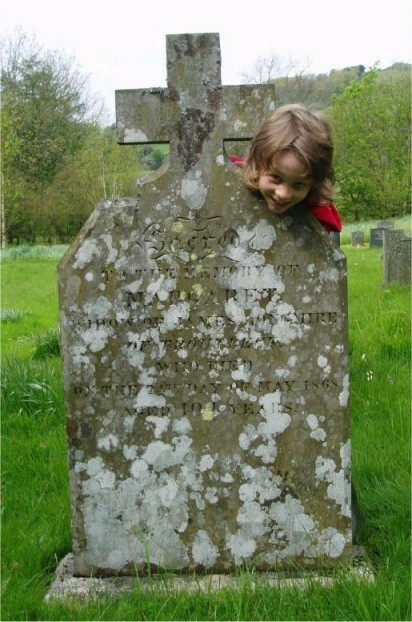 was owned by Margaret Longmire, who died in 1868 at the age of 104. 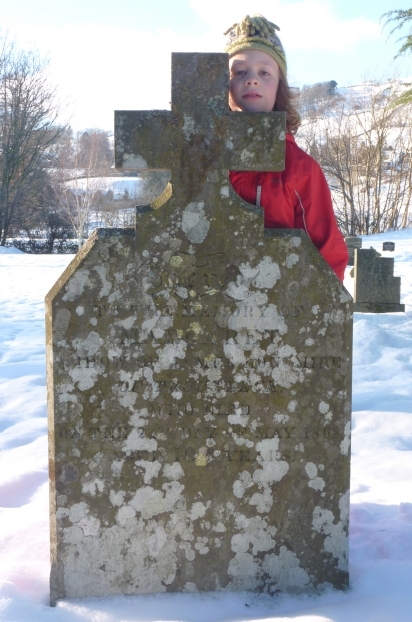 She is buried next to her husband in the local graveyard. Derek and Angela showed Florence a photograph of Margaret sitting in front of Y. 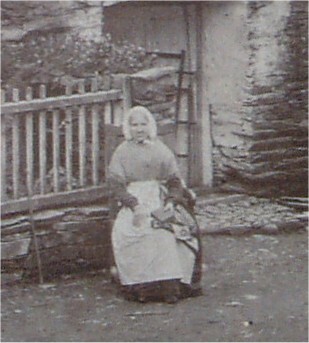 Gr., taken not long before her death, and Florence said that this was the lady she had seen. 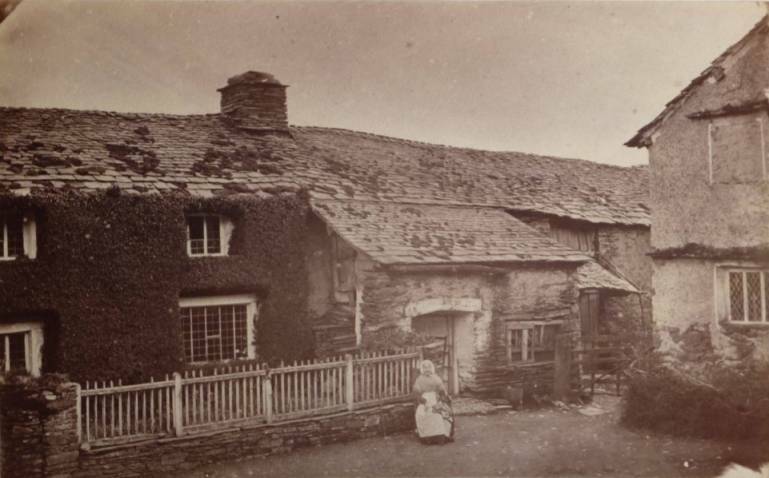 (The Centenarian of the Lakes) and her cottage, Troutbeck, Windermere’. In late 1993 or early 1994 a friend named Marguerite, whom Derek had met at art class, was invited to Y. Gr. for a meal, together with her husband John. At one point during the evening she went upstairs to use the bathroom, and when she came down Derek noticed that she looked pale and bewildered. He later remarked to Angela: ‘I wonder if she saw Margaret’ – i.e. the ghost. About a year later, Marguerite told them that once, when her husband was working abroad, she suddenly felt that he was in danger. She rang his hotel and insisted they go to his room to check that he was alright. John was found to be having a heart attack but was taken to hospital and recovered. Derek then asked her if she had ever seen or felt anything unusual at Y. Gr. She confessed that when she and her husband had first come for a meal she had seen an old lady in a blue dress walk past her as she came down the stairs after using the toilet. She confirmed that this was why she had looked so bemused. On being shown the photo of Margaret Longmire, she stated that this was the lady she had seen. The only other known sighting of the ‘ghost’ was by Derek himself. One evening in the mid-90s, at about 11.30 pm, he was having a heated discussion with Angela in their bedroom, but suddenly became very conciliatory, saying: ‘Let’s not argue anymore.’ Angela was surprised at his unexpected and uncharacteristic change of tune. Several months later, Derek explained what had happened: he had seen Margaret wagging her finger at him disapprovingly. Angela assumed he had merely imagined it and looked at him disbelievingly, but Derek assured her that he really had seen the ghost. Y. Gr. and its former owner, Mrs P. The window above the door is no. 4 bedroom. For more about apparitions and their possible causes, see Visitors from the Twilight Zone.